Batgirl isn't just a super hero, she's also super smart! While she lacks any real superpowers, her brainpower and versatile set of skills makes her an incredibly talented crime fighter. From Fansets comes a series of highly collectable pins featuring your favorite characters from the popular show, DC Superhero Girls! Collect all your favorite characters (sold separately) and unite the members of Super Hero High! 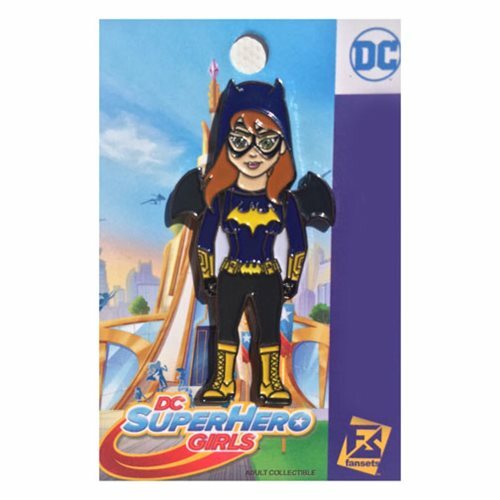 This DC Superhero Girls Batgirl Pin measures about 2-inches tall.